New patterns from Colette Patterns! A couple of weeks ago Sarai from Colette Patterns e-mailed me and asked if I wanted a sneak peek of the upcoming patterns. Umm, would I?!?!?!? YES! As soon as she e-mailed me the photos of the new patterns I couldn't think about much else except that I wanted to sew them up, stat. EDIT: I just saw that an Anise companion is available. Totally worth it! Shorter sleeves or long sleeves, which one do you like? Juniper is the second pants pattern from Colette Patterns and is sure to become just as popular as the Clovers. I love the wide leg look, but have yet to find any pants in the store that look good on me. Thank goodness for this pattern, it may just solve my problem! Are any of you planning on getting the new patterns? I can't wait to get my hands on them! I have yet to sew a jacket or pants and I am so grateful that when I do they will be from Colette Patterns. 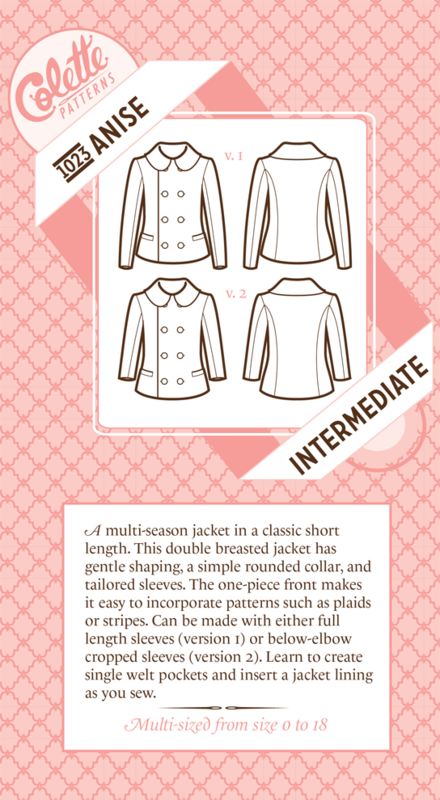 As most of you know, the directions are so straight forward and clear, which is so helpful to a sewing newbie like me. I know that when I am done I will end up with two beautiful new pieces for my wardrobe. I just bought the Anise and the Companion! I'm especially excited because it includes really great instructions on how to do a pattern SBA!!! (I left a comment on the last post re: Peony) I will be able to use this info NOW before I start sewing the Anise. I'm super excited! I just left the site with a copy of the Anise and the companion ordered. I just fell in love with it-plus I already have fabric in my stash that will be perfect:) I would love Anise to become a part of the Sew Colette. The support of the group is wonderful. 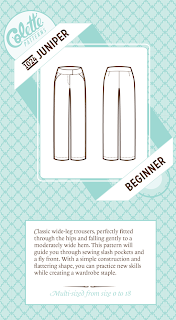 Oooo, I am most definitely going to be buying these patterns! However, I am going to buy them not this weekend, but next! 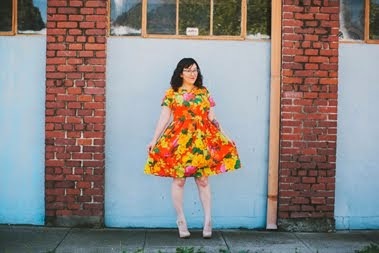 Sarai is coming to Oakland to one of my favorite fabric shops! Yay! 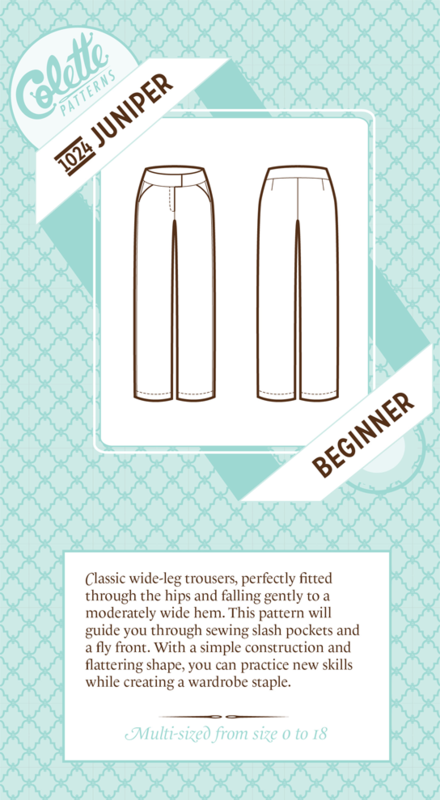 It's funny, because wide legged trousers were on my fall wardrobe list! The jacket reminds me of a jacket I already have, but I don't wear because it's a little tight in the arms. Now I get to make one! I love Anise too, and will so vote for it as the next project!! I just ordered them both!!! These are both so adorable and could easily find a place in my wardrobe. The styling is so beautiful. 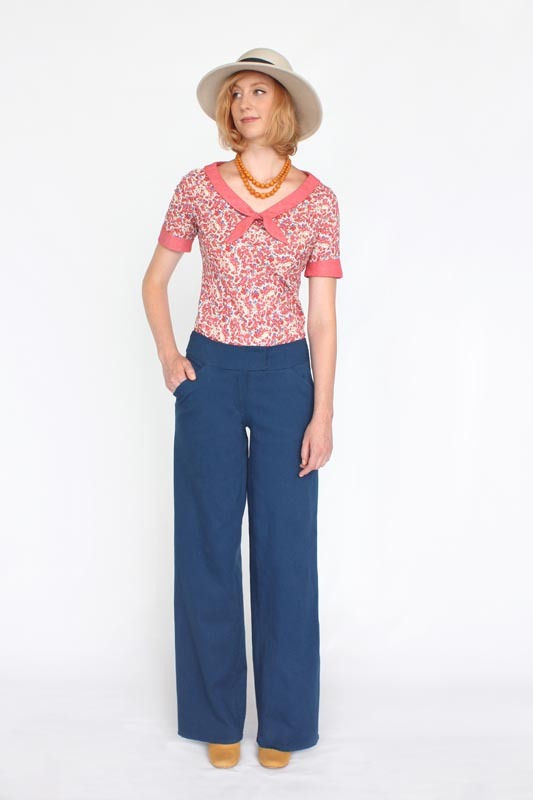 I love the Jasmine blouse they paired with the pants too. SO lovely! I'm not allowing myself to buy new patterns or fabric yet though. Ordered Anise and companion (AND Peony and Clover while I was at it!). Can't wait to start playing with them!! Looking forward to trying different fabrics and colors. It would be great to have a TNT jacket for fall. You know... 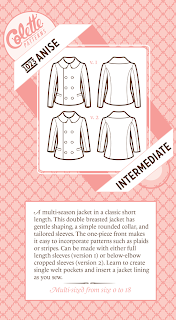 I was hesitant about buying another jacket pattern, but let's face it - I'm a jacket-aholic, and since I've yet to sew my first, I may just cave. Then it'll be a race to which one will be my first: Anise, or Gertie's Starlet jacket!!! The Anise jacket is beyond cute, although it's a bit more girlie than my usual style, so I'm wondering if it would fit into my wardrobe. I'm really excited to see other people's versions of the jacket! 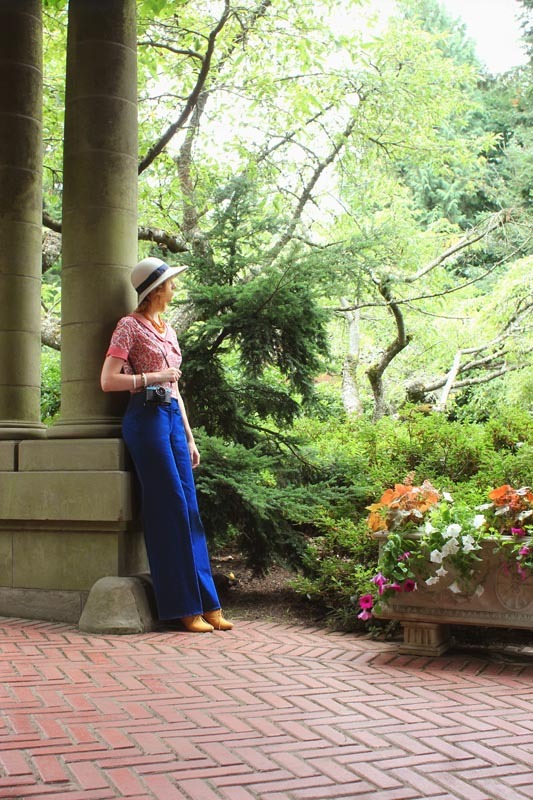 I don't really wear wide-legged pants, though the Junipers are really lovely.